Did You Know? 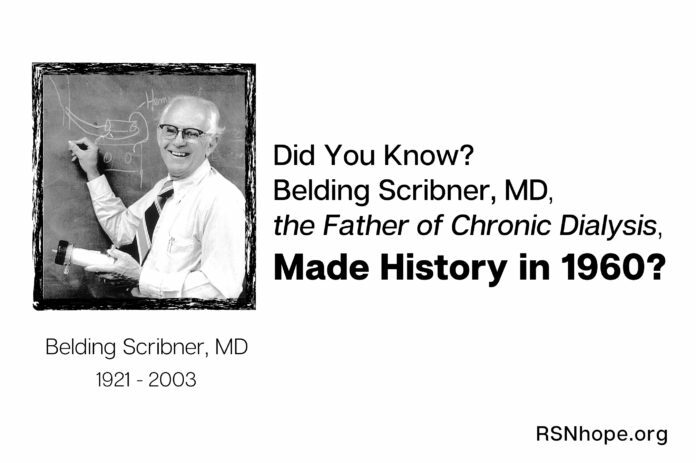 Belding Scribner, MD, the Father of Chronic Dialysis, Made History in 1960? One of the shining figures in the history of dialysis was the late Belding Scribner who made history of his own in 1960 with his invention of the Scribner shunt, making it possible for patients suffering from End-Stage Renal Disease (ESRD) to receive continuous, or maintenance, dialysis. Scribner was one of many doctors who came to Seattle, WA considered the “Mecca” of dialysis, in the 1950s and 1960s to learn about this new technique. Scribner was born on January 18, 1921, in Chicago, IL. He earned a Bachelor of Arts degree from the University of California at Berkeley in 1941. Four years later, he obtained his MD degree from the Stanford University School of Medicine, San Francisco, CA. In 1947, he competed his residency at San Francisco Hospital. In 1951, Scribner migrated to Seattle and worked at the Veterans Administration (VA) Hospital until 1957. He was instrumental in getting the hospital to acquire an artificial kidney and developed a program for treating acute kidney failure. Later, he became a professor of Medicine at the University of Washington (UW) in Seattle. It was March 1960. Clyde Shields, 39, an engineer at Boeing Corporation who was married with three children, was admitted to the UW Hospital with a diagnosis of terminal kidney failure. 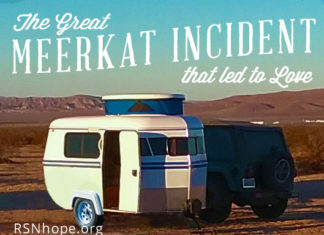 At the time, the great majority of ESRD patients died since continuous dialysis was not available to them. Shields was a patient of Scribner’s, who began thinking about developing a shunt as a reusable vascular access device. He thought that, if he could have continuous access to Shields’ blood stream, he might be able to dialyze his patient on a continuous basis. A colleague suggested he use Teflon, a new material, for the shunt’s tubing. 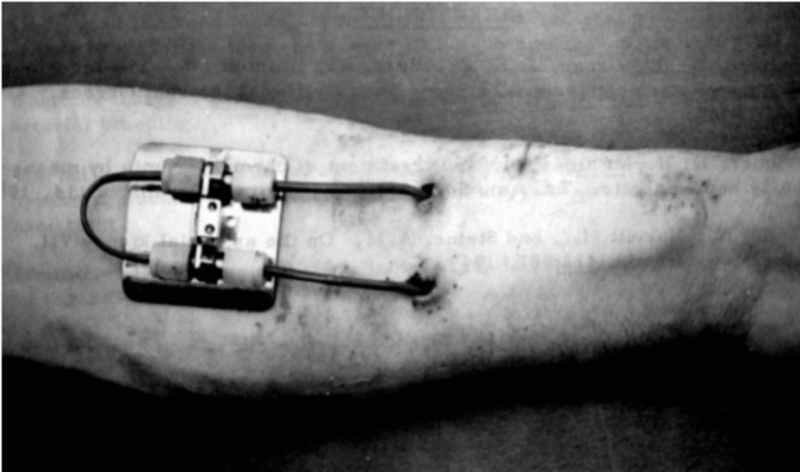 The device was a U-shaped tube that was installed between an artery and a vein in the arm. The artificial kidney machine could be attached to this shunt as often as needed. The shunt was implanted in Shields’ arm on March 9, 1960. In an interview with the Editor, Christopher R. Blagg, MD, a long-time friend and colleague of Scribner and Executive Director Emeritus of the Northwest Kidney Centers, said that Shields received his dialysis treatments at UW for the first six years of his treatments. For the last five years until his death in 1971, he dialyzed at home. Blagg said that the second patient on dialysis survived for 22 years while the third lived for 17-18 years. Scribner retired as head of UW’s Division of Nephrology in 1986. He spent the rest of his life as an advocate for dialysis adequacy and for longer dialysis treatments as well as proper blood pressure control. He is also the recipient of numerous awards and honors. These included an award from the Washington State Historical Society as one of its 100 Outstanding Citizens. Honorary degrees from the University of Goteborg, Sweden, and the Post-graduate School of London followed. In 1994, the American Society of Nephrology established the Belding H. Scribner Award. He received a Distinguished Achievement Award from Modern Medicine in 1972. The following year, he shared the John Phillips Memorial Award with Willem Kolff, MD, PhD, inventor of the first practical artificial kidney, from the American College of Physicians. During the last year of his life, Scribner shared with Kolff the Albert Lasker Award for Clinical Medical Research, considered the most prestigious prize in Medicine next to the Nobel.